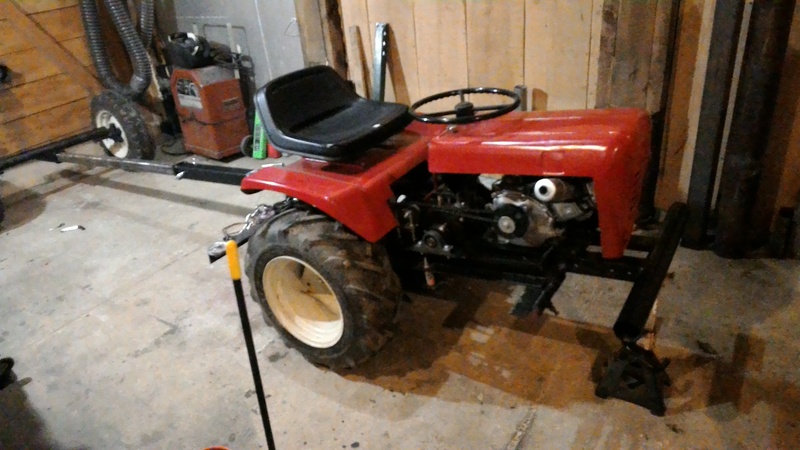 What year is your Wheel Horse Jeff? I have a 59 and the larger 64. Hi Jim, I don’t know what year. I think it was originally a 857 or some kind of model like that. It was a round hood. If it had a mower deck it would have the 90° gear boxes. Sixties or earlier. 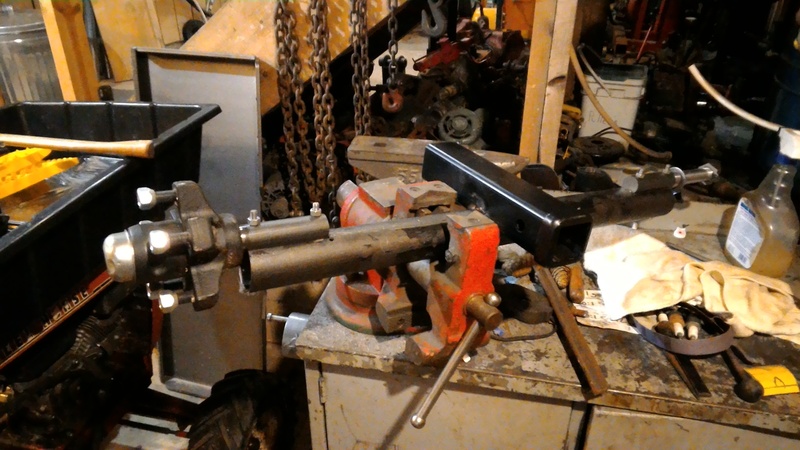 This will still be articulated steering, like the other version… I’ll side unload but not sure how the heavy stems will roll over the rear wheel. 857 would indicate 8 hp , year model 1957 according to my old dealer. I was able to get some NOS parts from him before he passed. He identified my large one as a 1064. He didn’t have any 1064 decals but hooked me up with 1065 decals and some other pieces including a new hydraulic unit and oil. My other one is his personal one I bought from his son. It has transaxel issues due to water leaking around the shifter and freezing. He and his dad were also dealers of the original Rotors tillers. I have two of them his dad sold to an X’s dad that did commercial tilling by 3 generations. I got lots of parts for them as well. I have been collecting this kind of stuff for years to tinker with. It seems like I get a new hobby every year or two. No ow my woods has a larger collection than I. That is not labeled as a Ponds is it? I am not sure off the top of my head what year they changed their name but it was around then. They command top dollar. My mower does have the 90 ° gear boxes. 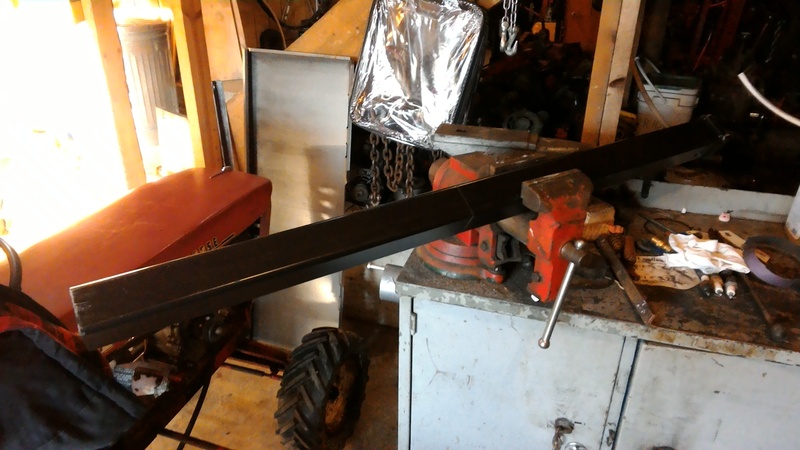 I have a plow frame but no blade and was supposed to get the snwoblower but it never showed up. Hi Jim, this one was in the junk section of an auction. It was hacked on years before and set out side with the transaxle filled with water. The best part was the original rear fenders. For some time I regretted buying it but it found a place. It is a Frankenstein now! I never seen Mr Pond’s name on it but all the stickers were gone or brush painted over years ago. Not sure if there was a 857 on it or I found a photo on the net that looked like it. Been collecting parts for about four years now. Collect Cub parts also. Just junk tractors because I like the transaxles and frames. Some rear fenders are nice. I found a junk yard that sets them to the side, can’t wait till spring to see what they have. Some day I’ll build a stretched version with the gasifier kind of under the hood. 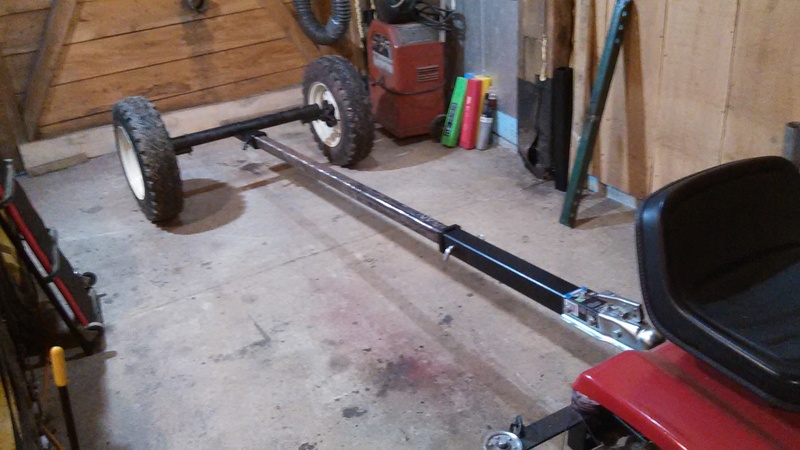 For pulling materials through the woods you might consider a "walking beam’ trailer axle. Tom, I have to agree with that. 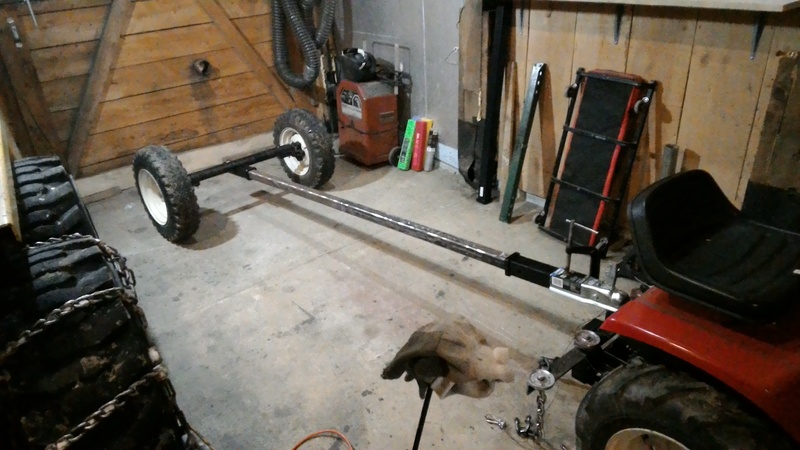 The plan is to start with the wheels that I have and if it is working out good I’ll pull the wheels and then place a walking beam on the sub axle. 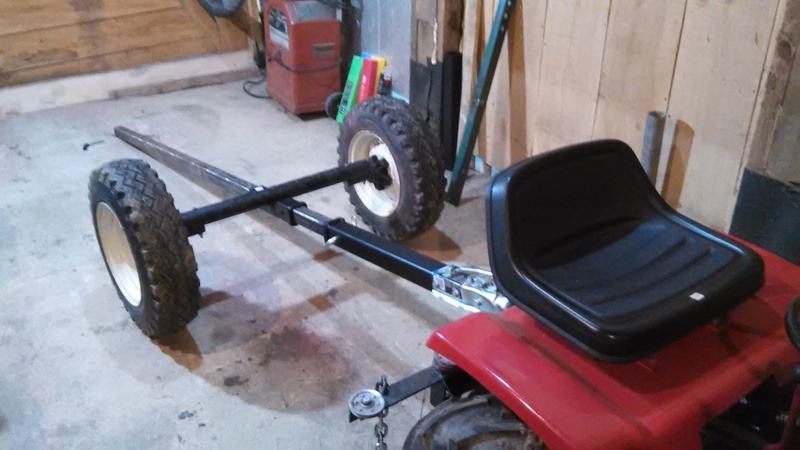 Thought about using a walking beam with the skidder version but with the short wheel base I thought it might be harder to steer because the tandom wheels have to skid some. With this version the long wheel base has a lot of leverage. Jeff, what motivated you to modify the machine? I thought it was pretty sweet as it was. 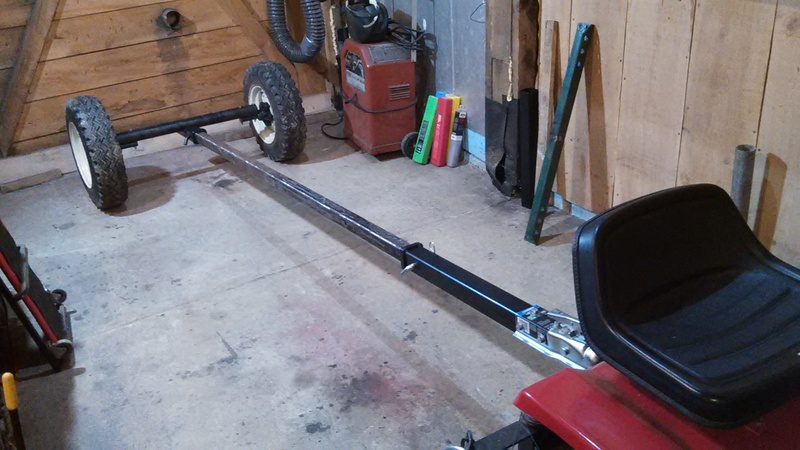 Mention of a walking beam axles brings to mind an idea I had for a “squatting” trailer for ease of loading. I thought to use a walking beam but that bent in the middle where it went on the center pivot. So it would be like a V. Now with an air bag between the legs of the V, you would have your suspension without the space needed under the trailer for springs, but also could deflate the air bags so the trailer frame would sit down right on the ground for easy loading. Not sure if I’ve made this clear or not. Perhaps I can make a skizz later. Jeff, what motivated you to modify the machine? Andy, your cracking me up! You know the gear-head syndrome! 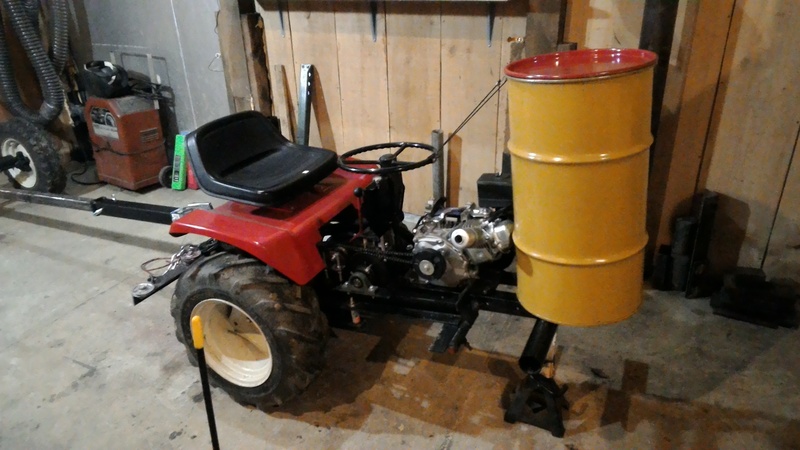 OK, in about 20 minutes it can be converted back into a skidder. I was looking for the real figures but can not find them. Something like this; let us say one log can be flat dragged on the ground. If the front of the log is lifted three logs can be dragged, all the logs are the same size. Now if the logs are hauled, six logs can be moved (brakes would be nice). Trying to do more with less. Also, there are a lot of small stems that I would rather just hand load. I kind of understand your easy loader/un-loader. Another idea would be to slide the axle forward, with the winch if needed, for loading and un-loading. If stuck the rear brakes (if there were any) could be locked then the rear axle winched back. I think the problem would be that the spine (the tube that the axle would slide on, would catch the ground. I’m not sure how to handle the problem. If I have the time I might switch to a capstan winch. Also go back to a belt clutch. The other improvement is a smaller and lighter gasifier. It will not be as user friendly but more friendly to the machine. Lower center of gravity. In the front of the machine. 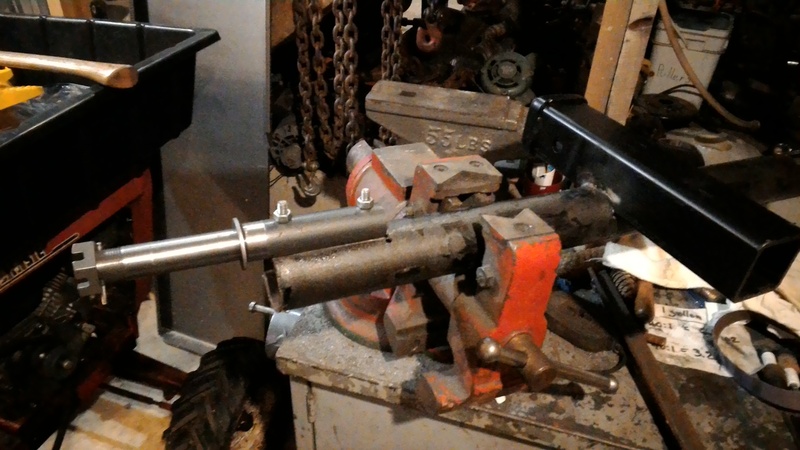 Last weekend I found some time to work on the rear axle. 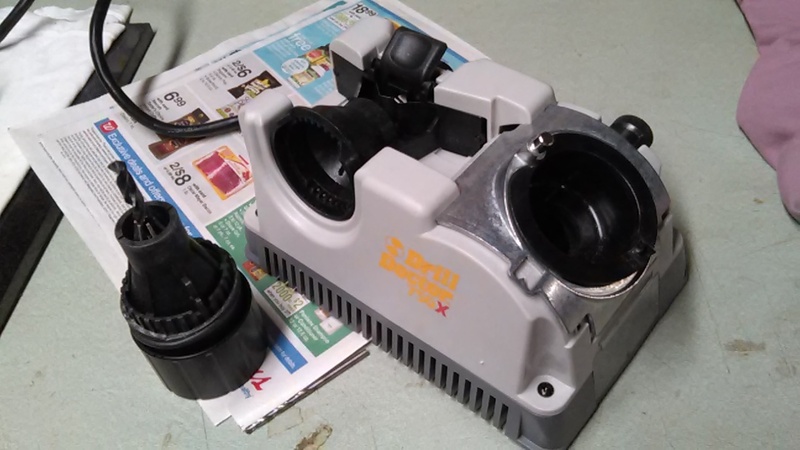 And this weekend I should be able to weld it up. 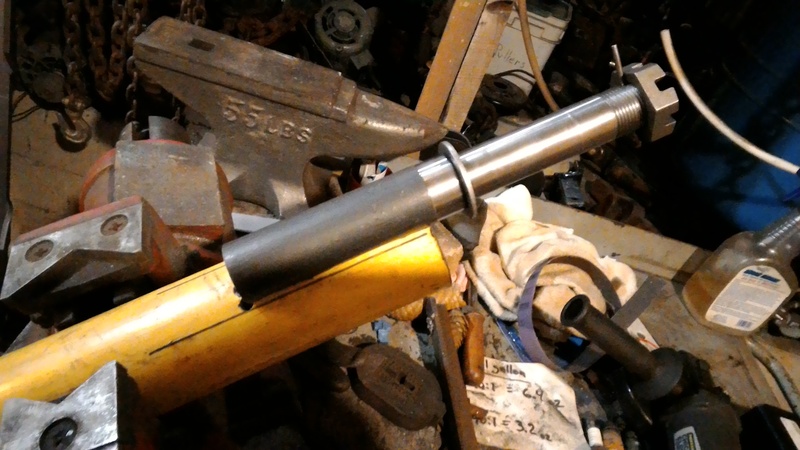 I do not want to weld the spindles to the axle tube, just in case I want to re-use them later. Not exactly sure how to do that, but got kind of an idea. 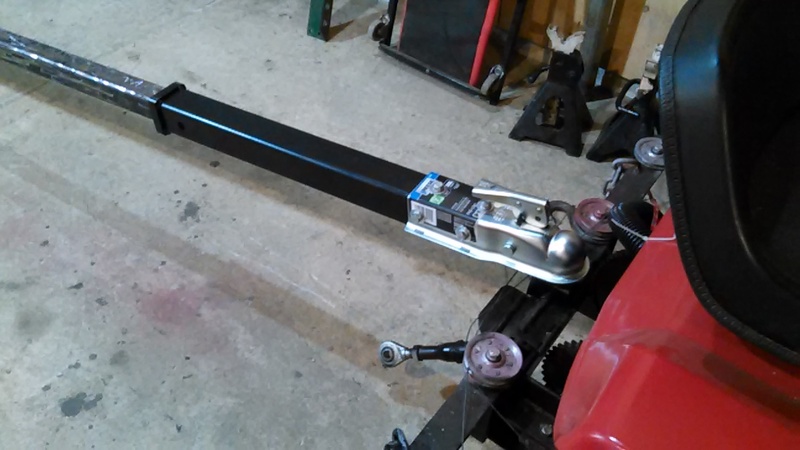 The axle will be able to slide on the spine. Ahh, necessity, the mother of invention! Use angle iron to mark alignment lines. 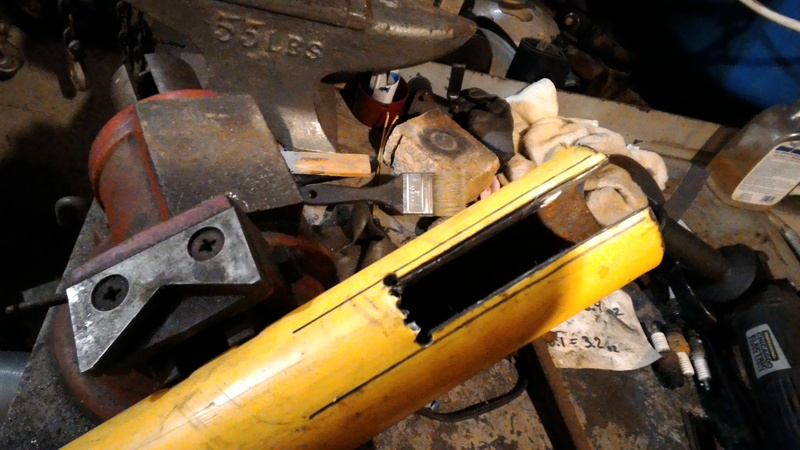 Remove self aligning angle iron. I might try U-Bolting the spindles on. Or, drill and bolt. 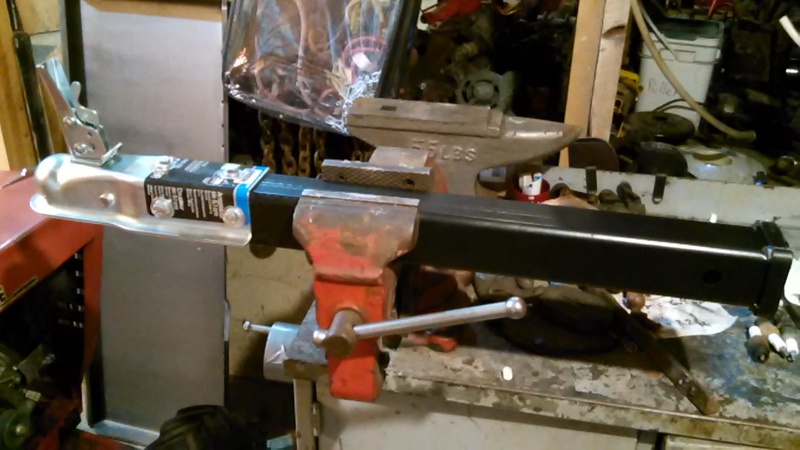 Should weld end caps on so that the end of the tube doesn’t spread out. 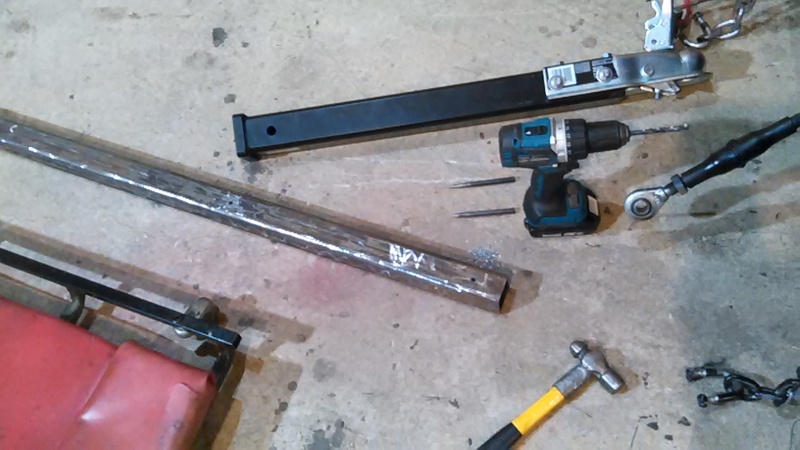 Did some drilling and bolting. 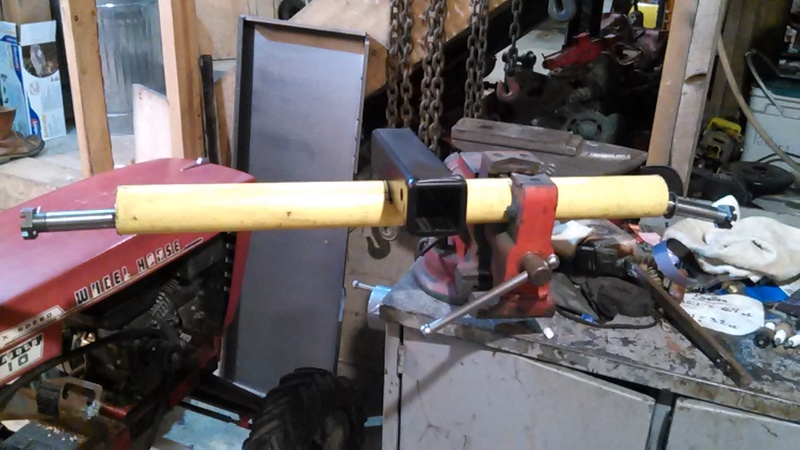 Oh, tack welded the receiver to the axle tube. 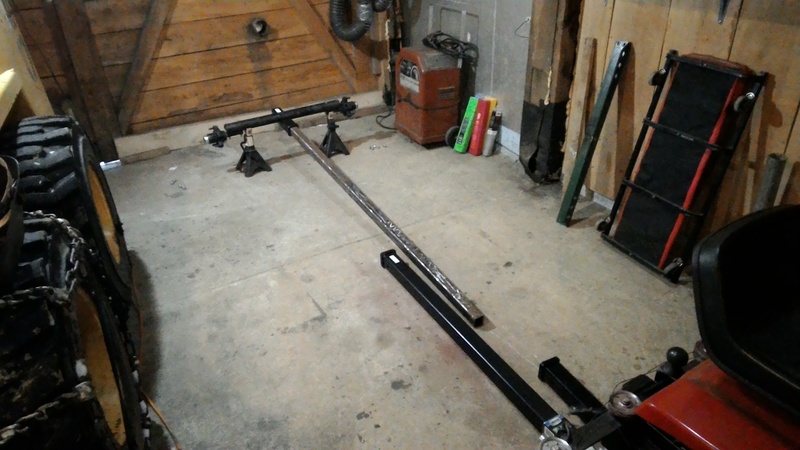 The rear axle and spine on jack stands. 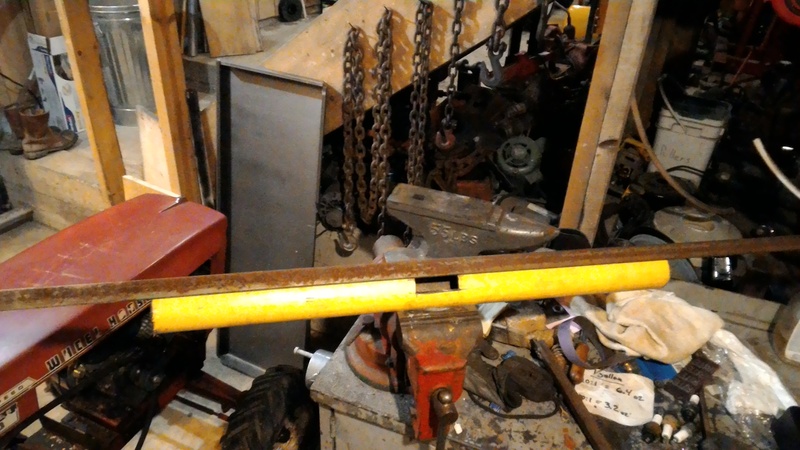 Marking the holes for the double ended hitch. Drilling the holes. Anybody ever get tired of drilling holes? I think these will be taped. 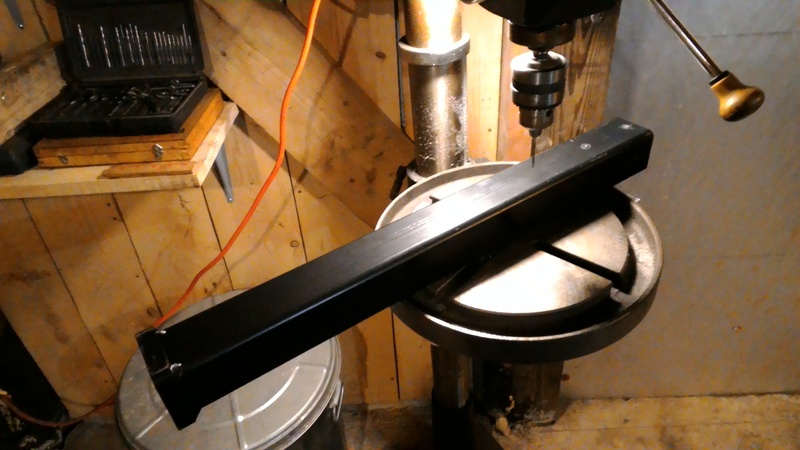 Well, You have a drill press, use lots of cutting oil and good lighting, sharp bits and away you go. I find it therapeutic. It’s a must to keep your tools sharp, whether axe or bit! I should of got this 20 years ago. 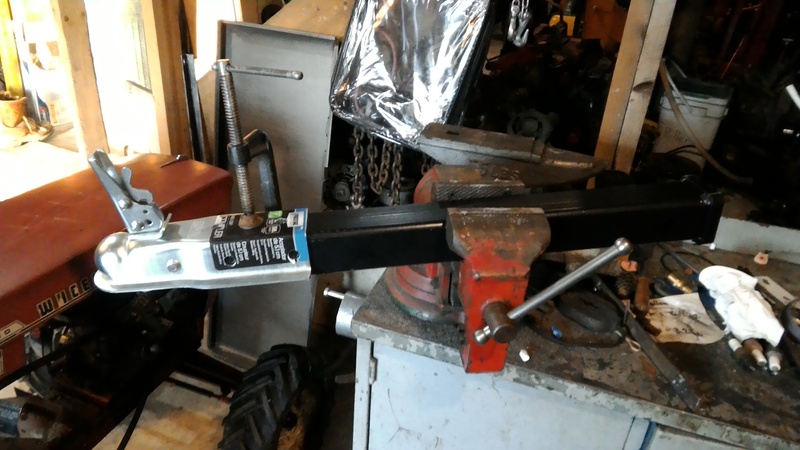 Next, bolt the ball hitch. 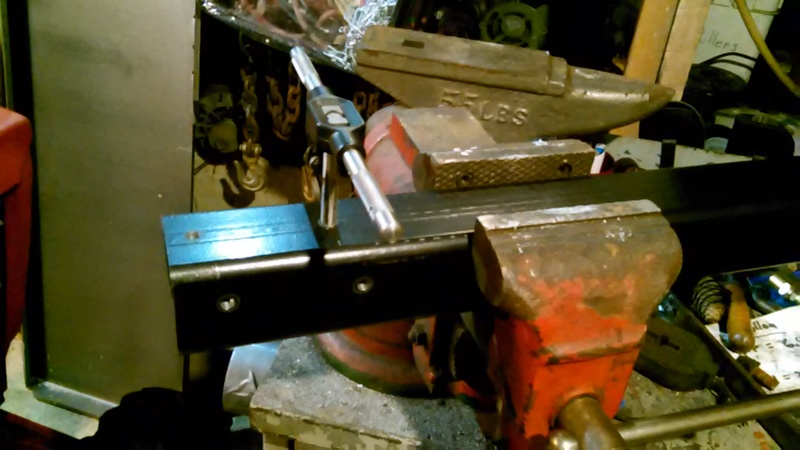 More drilling for lock pins. Most holes in the spine are drilled. Pin installed in rear axle. Below it is stretched all the way out. Below it is all the way into the front reciever. Below it is in a possible loading/unloading position. Still not sure if I’ll take this route. The bottom link is not installed so that is not the true geometry. 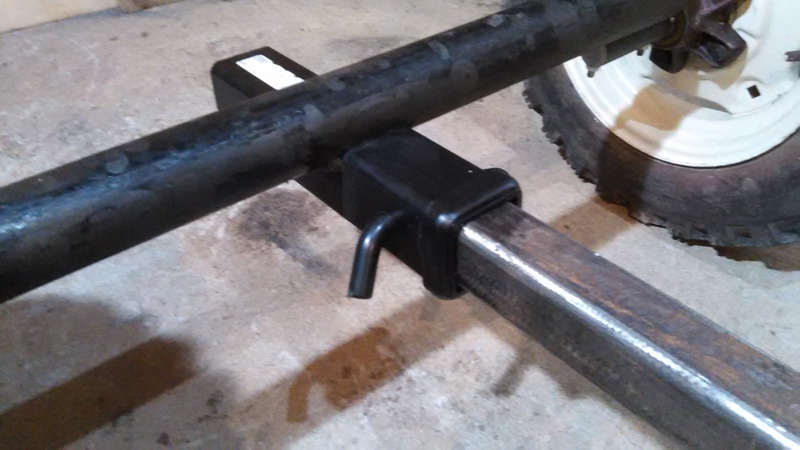 I need to buy a new 3pt hitch top link because this one is cut down and now I have the room for a stock top link. I can see that my cell phone takes blurry photos. I’ll have to go back to the tablet. I need more pipe for the front bunk. 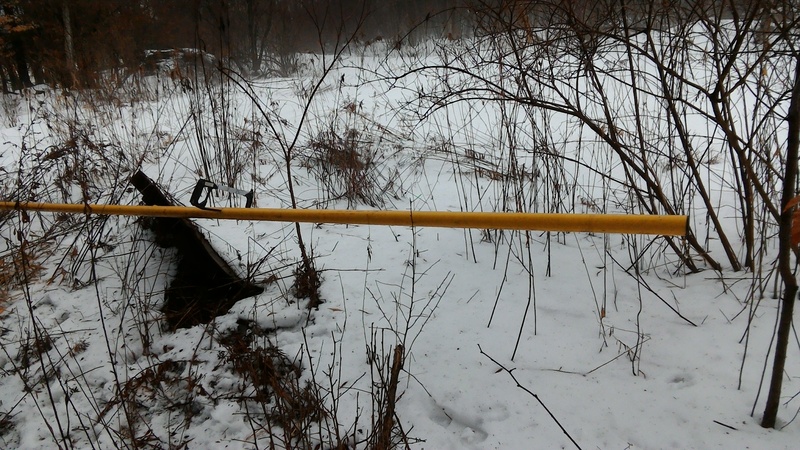 My supply is over the bank and during winter no machine can go. 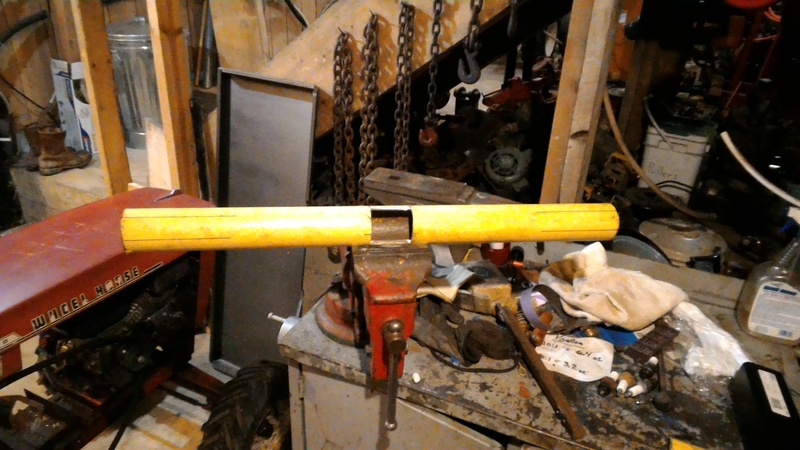 But hack saw and divide the sawing over a few days and I’ll have my chunk of pipe. Producer will be going on the front so this hood will get stored away for a future project. I like it too much to hack up. I do have one that is asking to be hacked. I traded Gary G for this drum. It is such a nice drum that I could not bring myself to use it. It crossed my mind to give it back but now it’s time has come. I hate having to compromise my producer design but I have to fit the producer to the machine so this will be a complete new design, pooh! Oh well, I wanted to try this years ago after my first charcoal producer. I’ll explain the design later. With the gasifier on the front, will you need to use the front axles again?